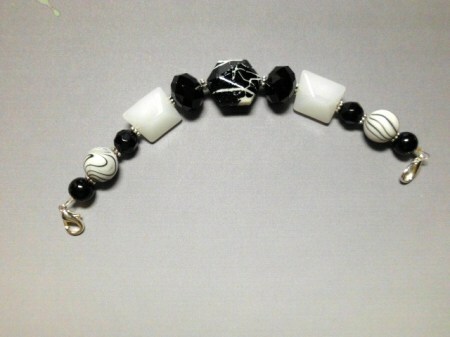 6.5" classic black and white watch bracelet. Black + White, but never dull. A classic, classy and also sassy collection of beads; smooth, round, faceted, beveled, polygons, even a puffy,beveled hexagon. Coco would be proud. Approximate watch length is 1.5" + watch bracelet, 6.5 = 8" approximate overall length.